After many conversations with our doctors and Koby [Altman, the Cavaliers GM] and much thought given to what is best for the team and my health, I need to step back from coaching for the time being and focus on trying to establish a stronger and healthier foundation from which to coach for the rest of the season. 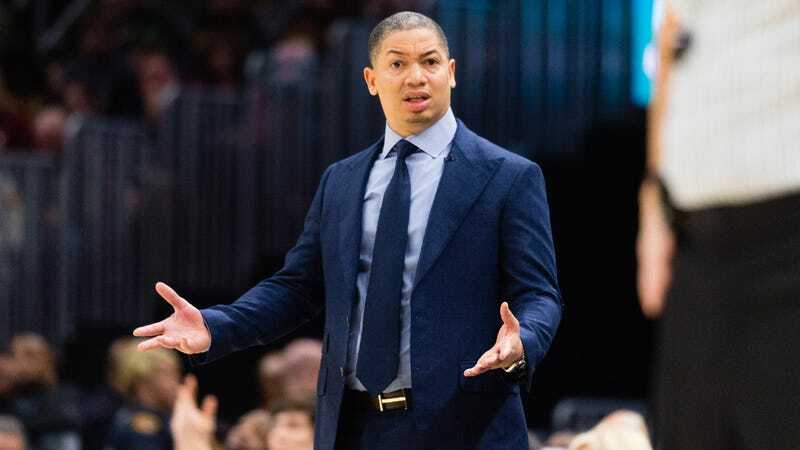 Lue has missed parts of three games this year due to sickness, including the second half of Saturday’s win over the Bulls. Larry Drew will take over as interim coach for the Cavaliers. Barack Obama To Tyronn Lue: "Tell J.R. And Everyone To Put On A Shirt"